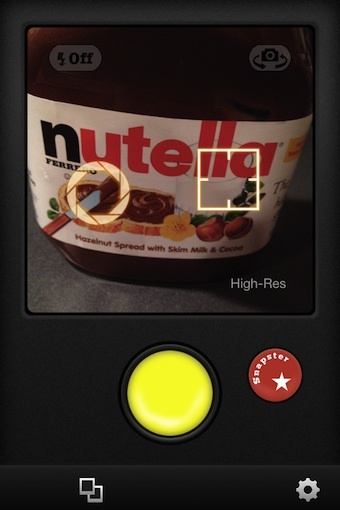 I’m been covering plenty of free iPhone photo apps for taking pictures and applying a variety of filters/effects. So, when Snapster showed up today I didn’t move very fast to download it. 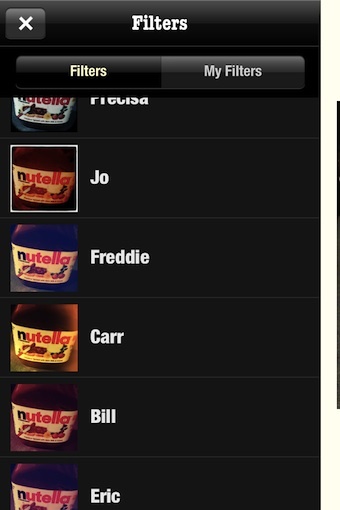 Once I did though, the Free app proved to be plenty of fun. Snapster takes square photos so it’s output is all ready for the variety of photo share social services you might be using. Separate focus and exposure can be used. 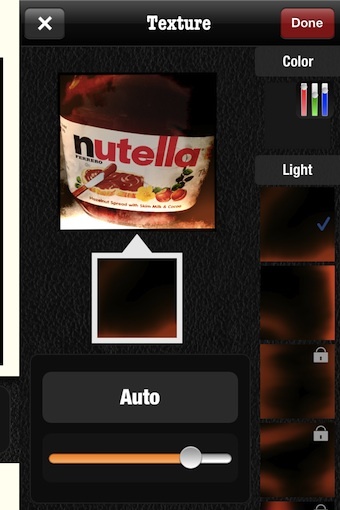 Photos are saved to the app’s library, opening a image gives you the ability to use Snapster’s unique list of editing tools. The first button on the lower left brings up a list of ‘filters’ to use. A few look familiar as ones in other apps, but the majority are fun new options. A small percent of filters have padlocks which can be unlocked (along with a few other enhancements) through a overall in-app purchase. No need to memorize which filters and other enhancements you used to get the final result to use later, you can save your complete setup to apply again later. The full range of color curves tuning is available. Or go all out and convert to black and white. A selection of frames can be applied, interesting to see the majority are only available after the in-app purchase. Textures are also available to be applied. 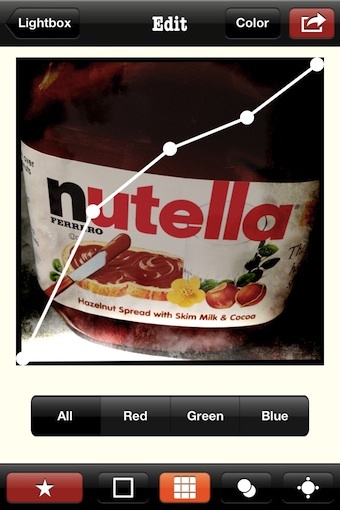 Snapster provides a group of color and enhanced light textures. The photo output size is selectable, all square: 820, 1240, 1640, 1880 and 2448. Saved to the iPhone photo library, a variety of social services like Instagram, or open directly in other apps without having to save and reopen. If you used a group of settings that you want to use again, the ‘filter’ can be save to use on future Snapster iPhone photos.